Irish Beef Jerky & Whiskey Party! Kick off St. Patrick’s Day a Wee Bit Early with Bawnmore’s Premier Press Launch Party! Bawnmore, America’s first and only grass-fed Irish Beef Jerky & Biltong, is partnering up with The Irishman Whiskey and Writers’ Tears for a unique tasting experience featuring unexpected pairings of our grass-fed Irish beef and biltong with Walsh Whiskey’s premium small batch Single Malt and blended Irish whiskies tripled-distilled with American Bourbon and Oloroso Sherry cask finishes. In other words, this ain’t your typical corned beef-and-beer-fueled pub crawl—our high-quality beef and Walsh Whiskey’s top-shelf Irish whiskies pair perfectly together, like fine wine and artisanal cheese. Please join us for our grand night of celebration! Media and Influencers are invited to post photos to Instagram with #FedWithIrishGrass and interview Bawnmore, just in time for St. Patrick’s Day coverage! Sample three of Walsh Whiskey’s premium small batch Single Malt Irish whiskies paired with two Irish jerky flavors and Bawnmore’s traditional biltong. Pay respect to tradition with a specialty Irish Godfather cocktail paired with Bawnmore’s jerky. *Media must be approved by Carnsmedia to be eligible for this event. 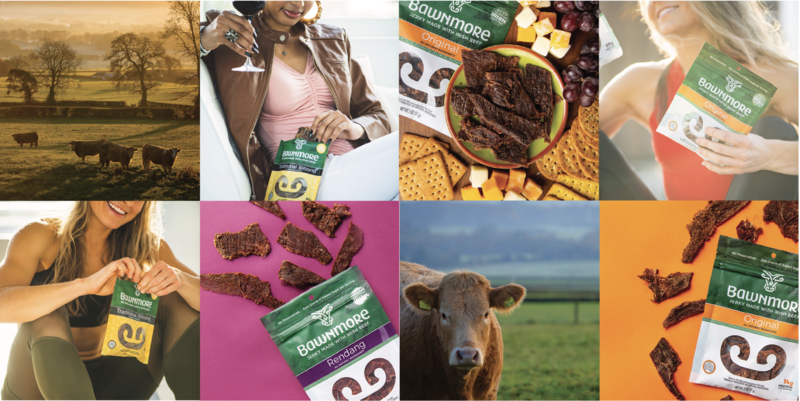 Bawnmore is the first and only protein snack range that is made in the United States exclusively from Irish beef. Bawnmore’s all natural, high protein, low carb jerky, and biltong are gluten-free and contain no added sugar, making them the perfect anytime, everyday snack for health-conscious women and men. Because Ireland is blessed with the perfect climate for growing grass, Irish cattle get to enjoy a diet of grass all year round. Each piece of Irish beef is fully traceable back to the farm and herd from which it came. It is also hormone-free and sustainably produced, coming from farmers whose families have been stewards of the land for several generations. Bawnmore imports this wonderful beef to craft their jerky and biltong, using simple, clean recipes that leave out the sugary ingredients found in many other brands. The Irishman is the Walsh family’s original whiskey. Bernard’s love and dedication to reviving old whiskey recipes of the 19th century forged The Irishman Founder’s Reserve and then the development of the award-winning The Irishman range. These tripled-distilled whiskeys include several Single Malt expressions and some very limited special cask finishes. Writers’ Tears Copper Pot from Walsh Whiskey is a critically acclaimed, award-winning recreation of that fabled 19thcentury style of whiskey—a truly unique expression that is embedded in history. 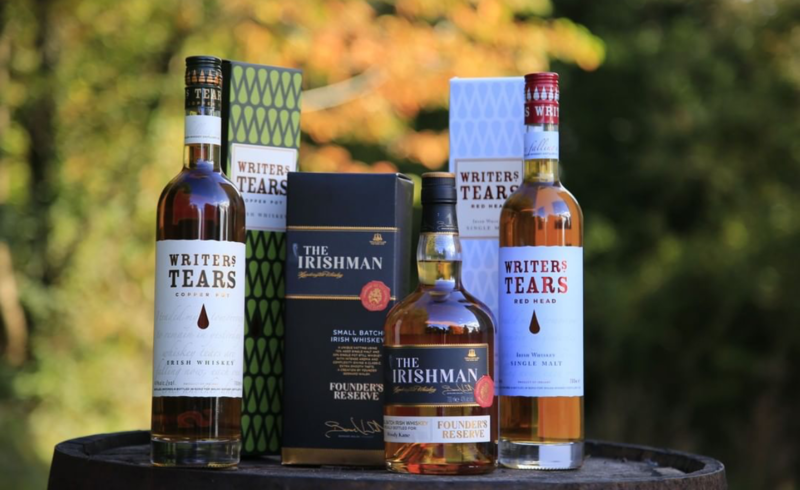 We have since added Single Malt and Cask Strength expressions to the Writers’ Tears range. We hope you enjoy them!